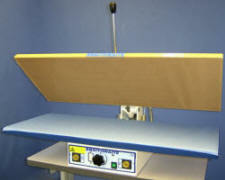 A wide range of commercial sewing machines, cloth cutting machines and steam ironing equipment available from stock. 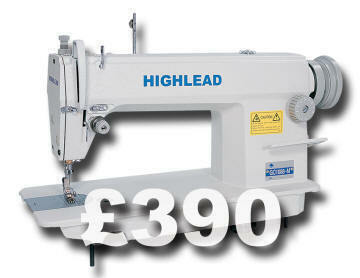 New Industrial sewing machines from £390 assembled with matching unit stand and ready to collect or despatch today. Hundreds of used sewing machines and other allied equipment at our Manchester warehouse for sale to retail and trade customers. Used and reconditioned with warranty available. 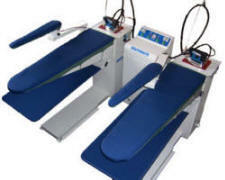 Highlead range of heavy duty and extra heavy duty machines for industrial users including walking foot, cylinder arm, post bed, overlock, binders, programmable, long & extra long arm models. A large range of cutting equipment including straight and round knife cloth cutting machines from Eastman Unity Suprena and Rasor etc. Braithwaite's own range of steam generators, industrial steam irons and heated ironing tables which we have supplied and supported from our UK base for over 35 years. Repair service for most popular makes including Brother Singer Juki Highlead Mitsubishi Linzbek Pfaff Reece Durkopp Eastman KM Unity + many others. Support and advice for manufacturers. 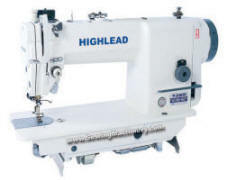 or all Highlead branded sewing machines and textile equipment..